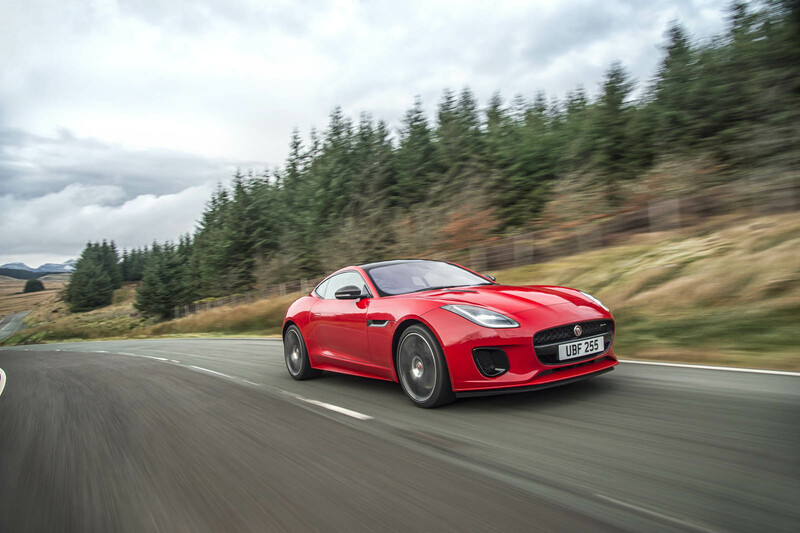 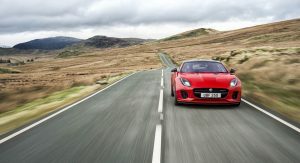 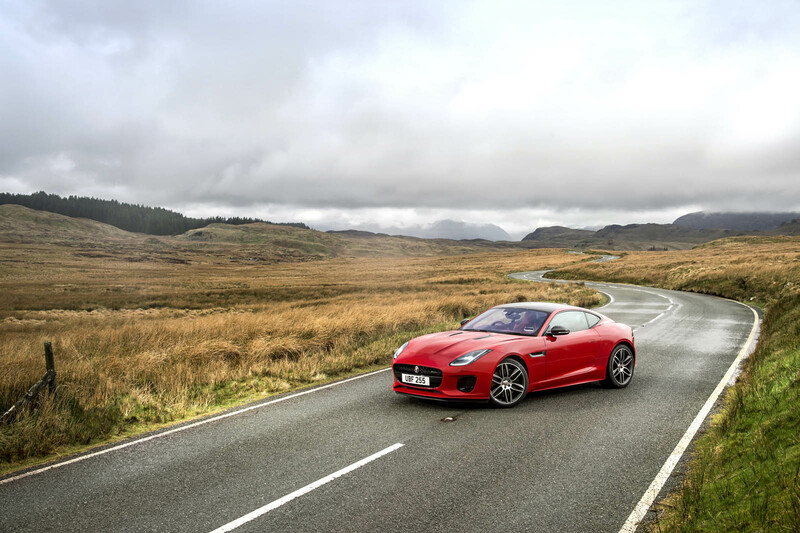 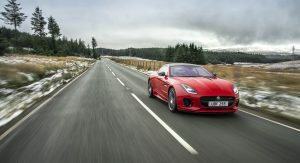 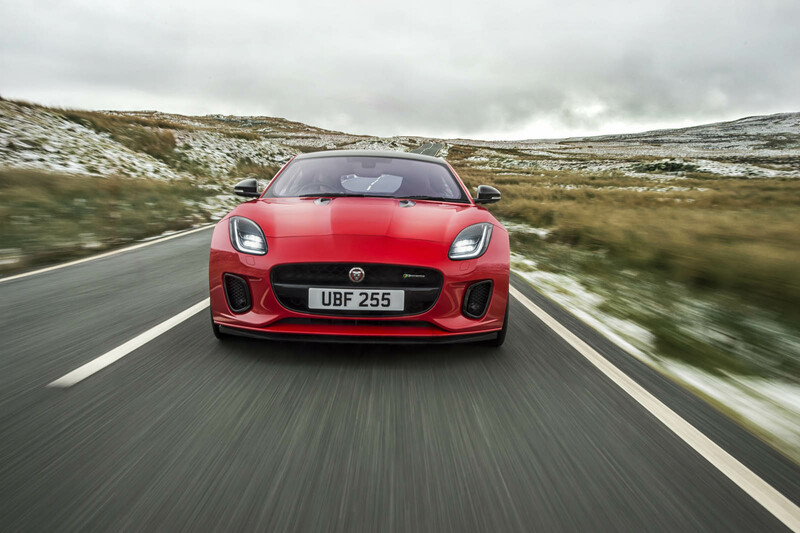 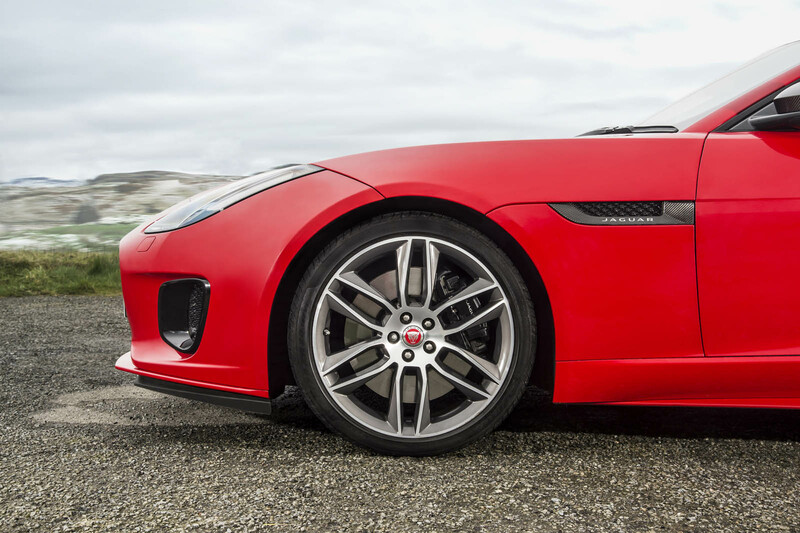 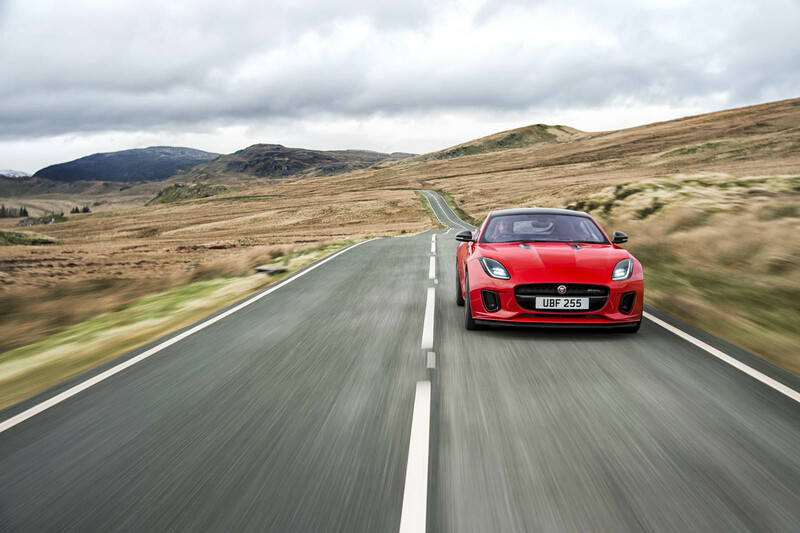 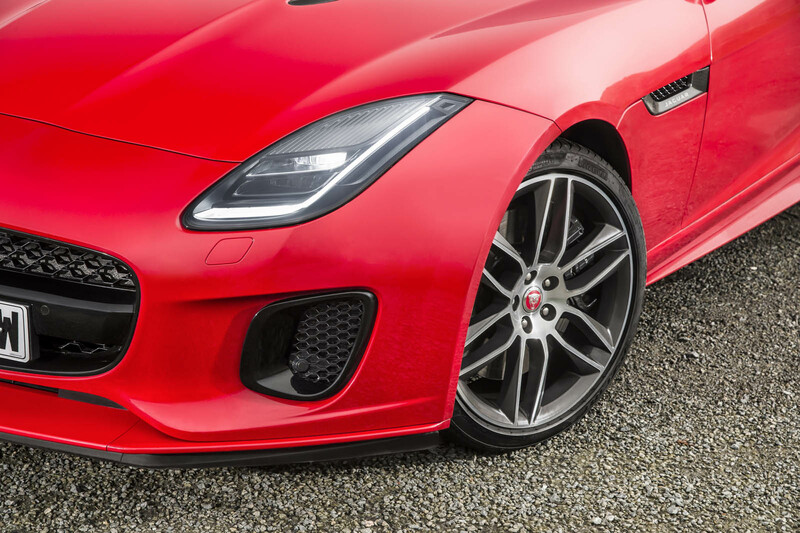 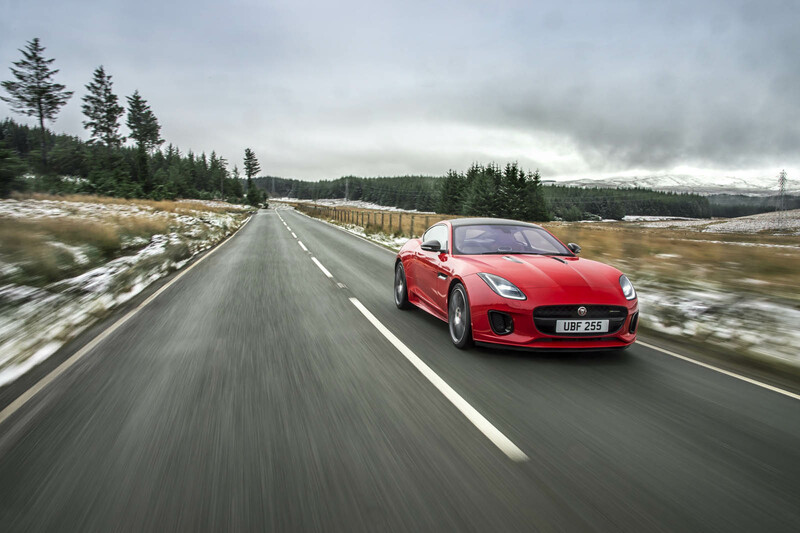 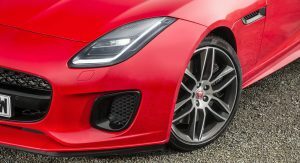 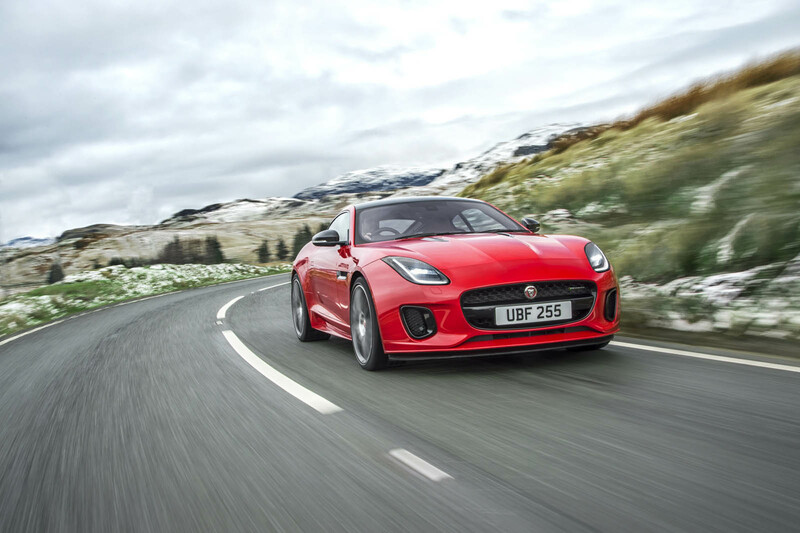 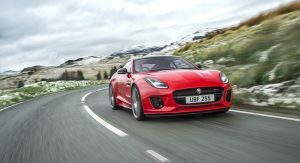 Earlier today, Jaguar revealed a new version of its F-Type sports car with a turbocharged four-cylinder engine. 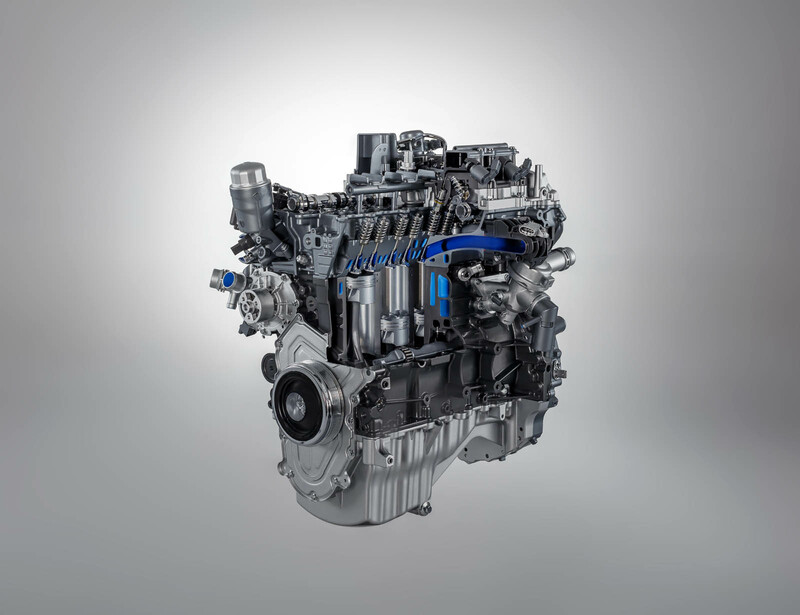 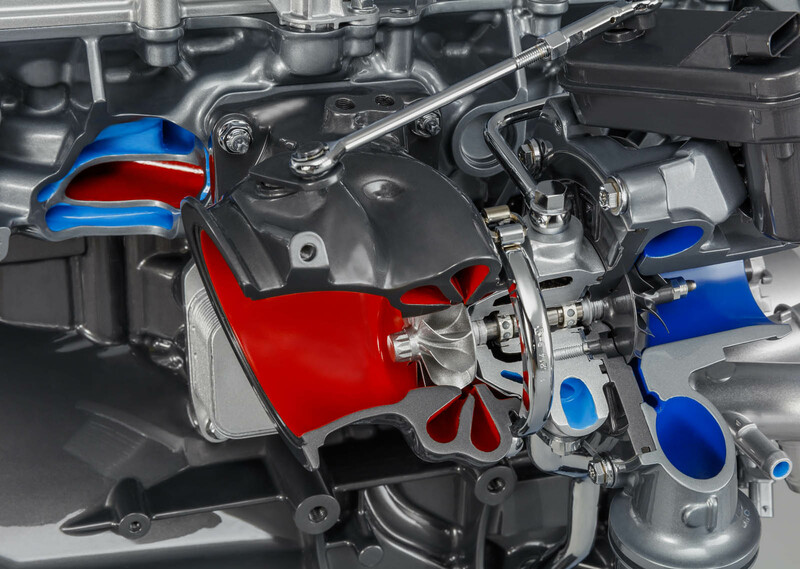 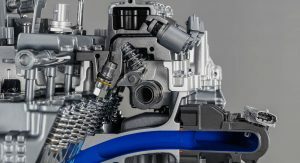 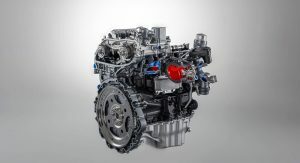 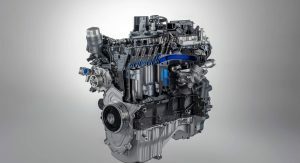 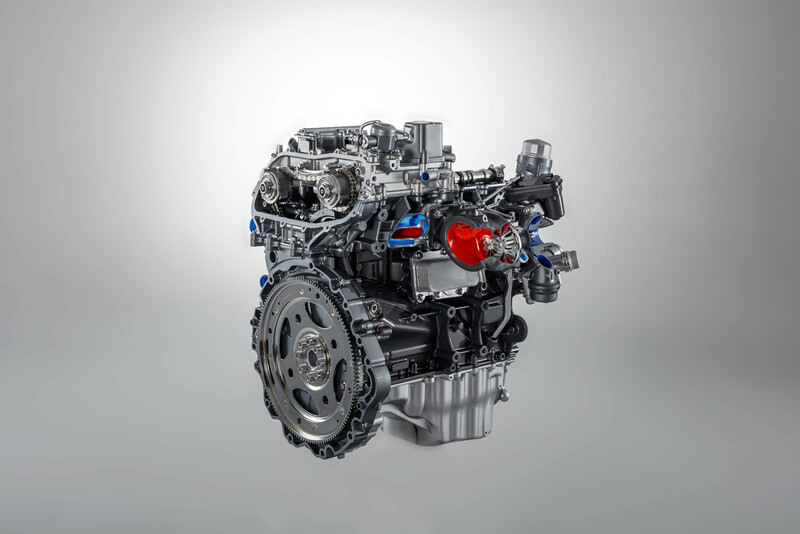 We didn’t know at the time whether the downsized powertrain option would be offered in North America, but now we do. 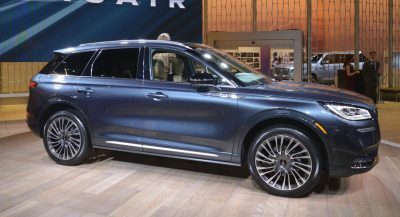 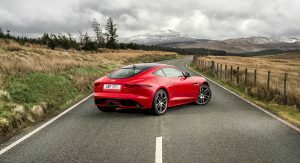 With the New York Auto Show opening its doors in Manhattan today, Jaguar has not only confirmed the four-cylinder for the US market, but revealed pricing as well. 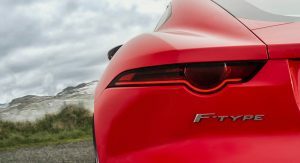 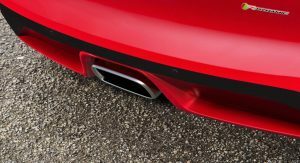 The 2018 Jaguar F-Type with the 2.0-liter turbocharged inline-four will start at $59,900 – just cresting the $60k mark when you take the mandatory $995 destination charge into account. 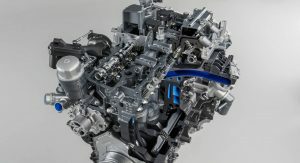 That undercuts the V6/manual model (that was the base spec until now) by just $1,500, but brings with it some benefits. 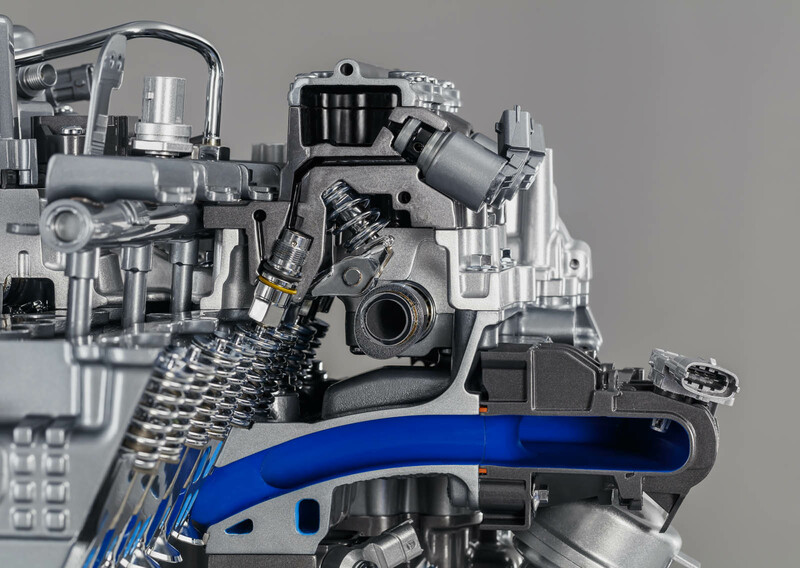 For starters, it’s more economical – not just in purchase price, but at the fuel pump as well. 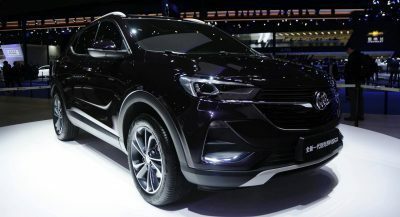 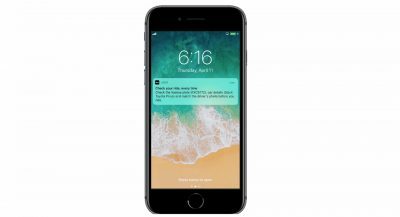 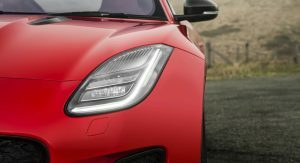 (Exact fuel economy figures for the US have yet to be released.) 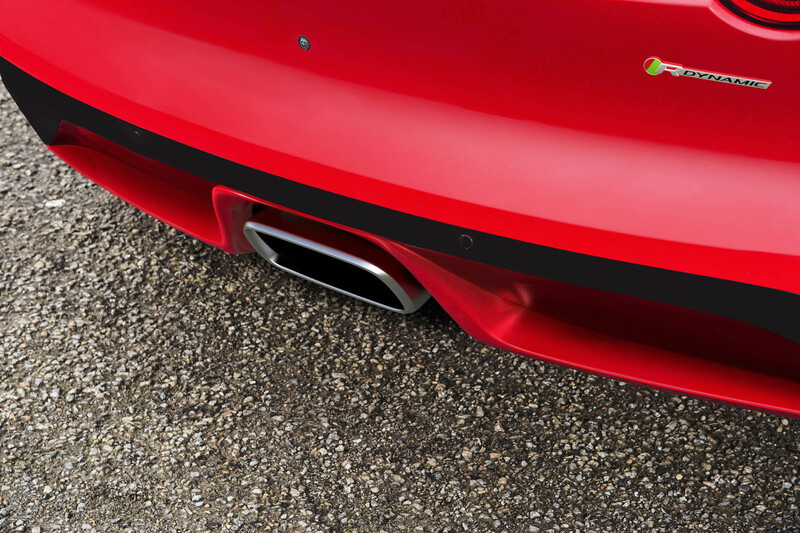 It’s also lighter by a good 114 pounds (mostly in the nose), improving handling balance. 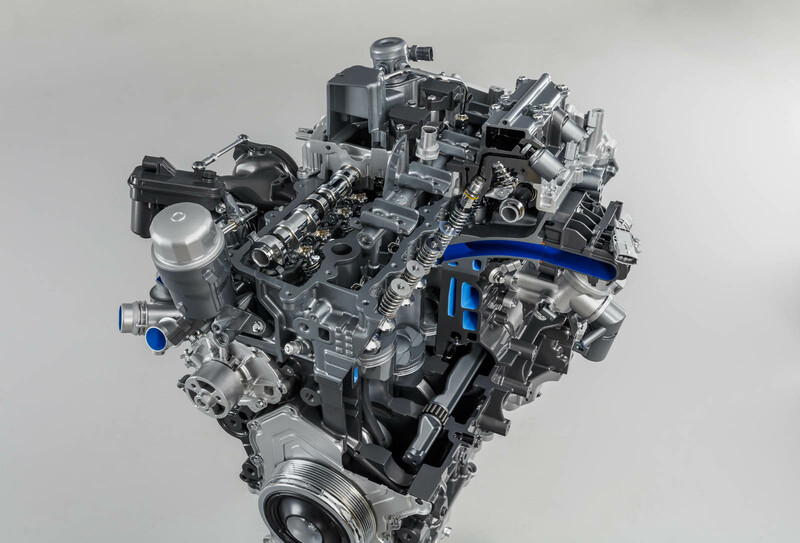 In return, the four-cylinder option is only 44 horsepower less potent than the base V6. 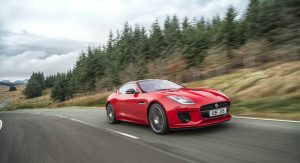 It’s rated at 296 hp and 295 lb-ft of torque, for a 0-60 time of 5.4 seconds (instead of the 5.1) and topping out at 155 mph (instead of 161). 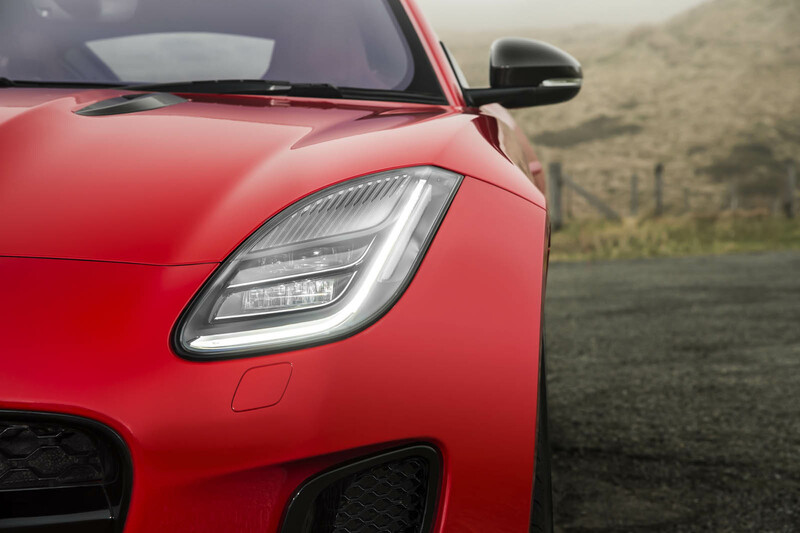 We wouldn’t be surprised to see that 340-horse version discontinued in due course, leaving the 380-hp version as the next step up. 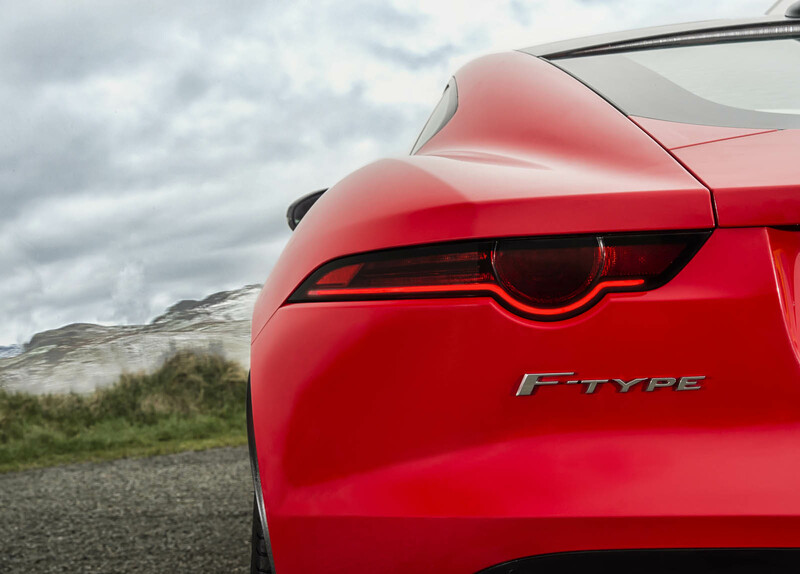 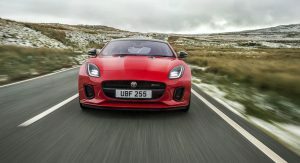 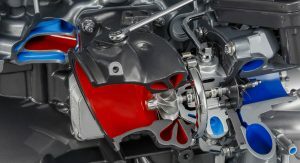 While it may not be substantially cheaper than the V6, the four-cylinder F-Type starts making sense the same way that the Ford Mustang does with the EcoBoost engine instead of the big V8, or the Bentley Continental GT does with the lighter V8 in the nose instead of the larger W12. 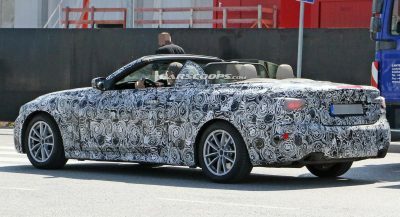 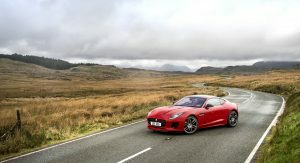 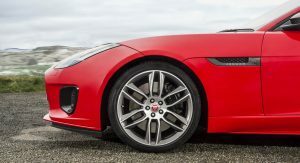 The Ingenium-powered version’s introduction also brings the F-Type family up to a mind-boggling 24 variants – with four, six, or eight cylinders, and in coupe and convertible body-styles… some even offered with a manual (in addition to the eight-speed automatic) or all-wheel drive (instead of rear). 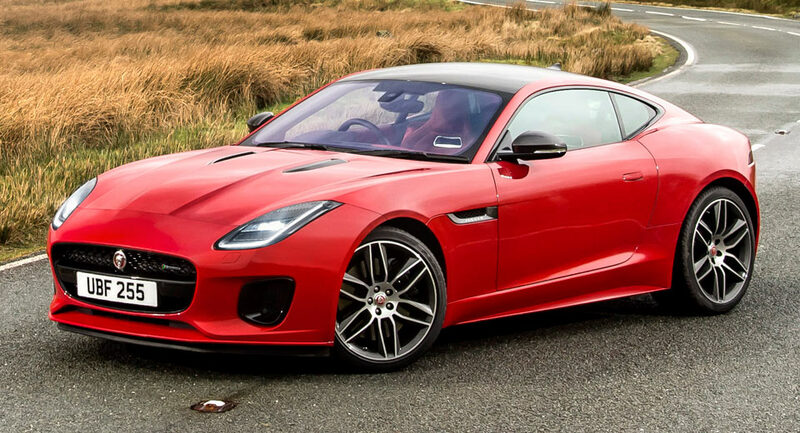 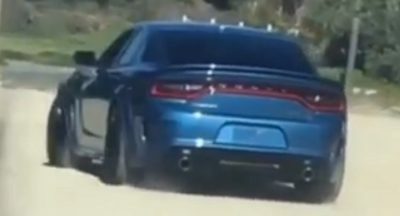 The model line extends all the way up to the SVR model, with a 5.0-liter supercharged V8 good for nearly twice as much power at 575 hp – but costing more than twice as much at $125,000. 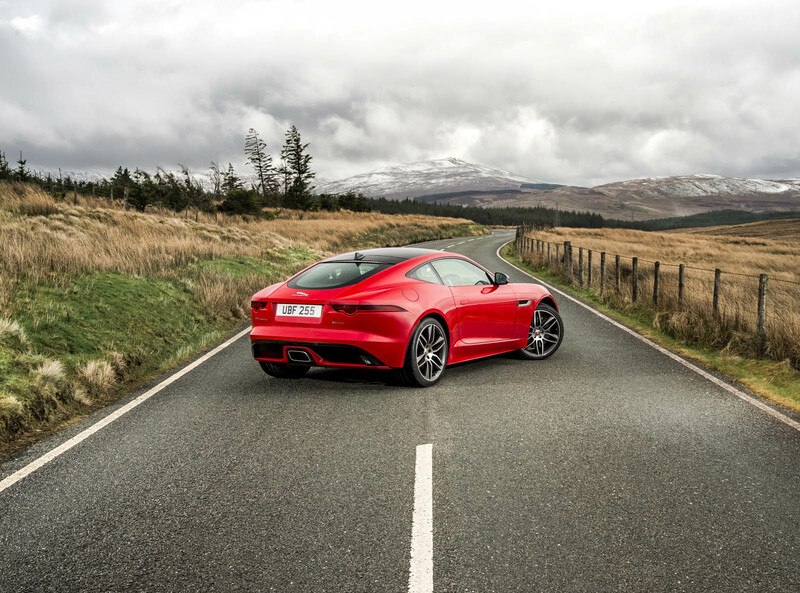 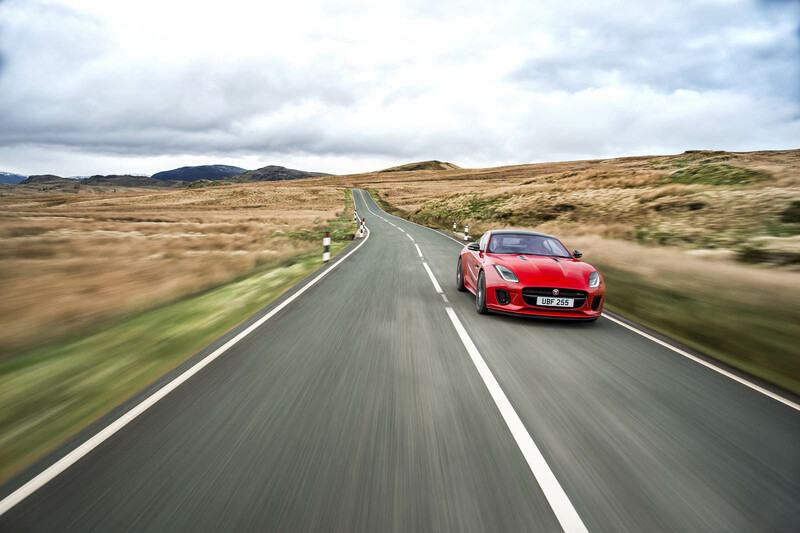 So while you can spend as much on an F-Type as you could on an Aston Martin V8 Vantage, you don’t have to.